MOTORHEAD - BOMBER LTD. SPLATTER VINYL (2LP) | Online Shop | Wizard LTD. 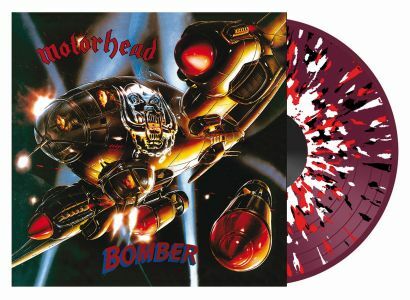 Album: "BOMBER LTD. SPLATTER VINYL (2LP)"
Bomber was the third Motorhead album to be released (although the fourth to be recorded - see On Parole). It was recorded in 1979, the same year as Overkill. The album reached number 12 on the UK charts and brought some of Motorhead&apos;s most popular songs, like "Bomber", "Dead Men Tell No Tales" and "Stone Dead Forever".